Zakarian’s rise to culinary prominence began at Le Cirque, where he first worked in a professional kitchen. In five years, he worked his way up from Pastry Sous to Chef to Chef de Cuisine under Chef Alain Sailhac. During these formative years, Zakarian staged at places such as Arpège and Au Quai des Ormes in Paris, Auberge de l’Ill in Alsace, The Dorchester in London, Le Chantecler with Jacques Maximin in Nice, and Pierre Orsay in Lyon. In 1987, Zakarian took his first turn as Executive Chef at the legendary 21Club. In 1988, he became the Executive Chef of 44 at the Royalton Hotel, before opening the Blue Door at the Delano Hotel in Miami in 1995. In 1997, Zakarian became Executive Chef of Patroon. In 2001, Zakarian opened his first restaurant, Town, to which he brought his culinary and decorative vision to life. Both Patroon and Town were awarded Three Stars from The New York Times. Zakarian next opened Country, a restaurant that paired his passion for food and wine with his innate sense of hospitality, grace and old world elegance. Country was awarded a Michelin Star along with Three Stars from The New York Times. 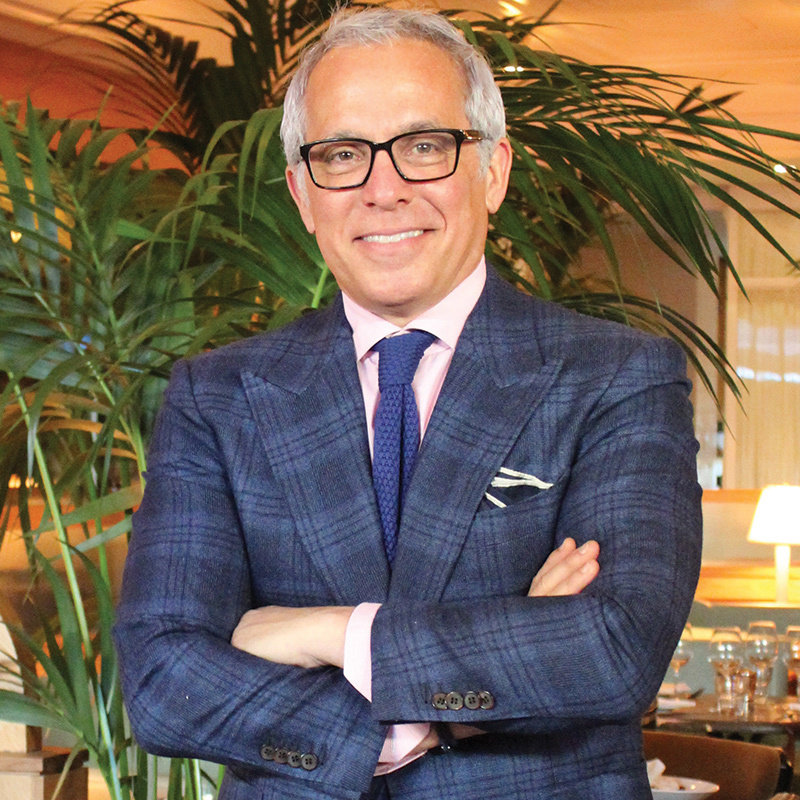 In 2007, Zakarian signed on to conceptualize and oversee the entire food and beverage program at The Water Club at Borgata, in Atlantic City. In the fall of 2010, Zakarian opened both The Lambs Club, at The Chatwal Hotel and The National, at The Benjamin Hotel in New York City. In June 2011, Zakarian returned to Florida to open Tudor House at Dream South Beach, a neighborhood Gastro-Cafe rated as 2012’s Best Hotel Restaurant in Miami. In May 2013, Zakarian partnered with Norwegian Cruise Lines in a three-restaurant deal aboard their vessels, Norwegian Breakaway and Norwegian Getaway. On board, Zakarian oversees Ocean Blue, The Raw Bar, and Ocean Blue on the Waterfront. The same year, Zakarian was named Culinary Director at The Plaza. re-launching the hotel’s iconic Palm Court in October 2014, along with The Champagne Bar and The Rose Club. In June 2016, Zakarian opened two concepts, Georgie and The Garden Bar, at Montage Beverly Hills. Georgie, a Modern American restaurant, serves breakfast, lunch and dinner with an emphasis on California produce. The Garden Bar, a comfortable yet sophisticated lounge, is open morning to night, featuring all day fare, distinct coffees and teas, and a robust cocktail program. In February 2017, Zakarian launched one of his most exciting projects yet, Point Royal at The Diplomat Beach Resort in Hollywood, FL, a Coastal American restaurant complete with an impressive raw bar, along with a cheeky quick-serve coffee and juice bar called Counter Point that anchors the hotel lobby. Outside of the kitchen, Zakarian is an accomplished author, philanthropist and notable television personality. In 2006, Clarkson Potter published his debut book, Geoffrey Zakarian’s Town / Country, which was named Editor’s Choice by The New York Times Book Review and was celebrated as “…one of the best cookbooks of 2006.” His second cookbook, My Perfect Pantry: 150 Easy Recipes from 50 Essential Ingredients hit shelves on October 7, 2014. He also assumed the role of Chairman of the City Harvest Food Council, a food rescue organization dedicated to fighting hunger in New York City. Most recently, Zakarian launched a line of kitchen products called Pro For Home, including food storage containers and a sous vide circulator, currently available on HSN, Wayfair, Sur La Table and ShopGZ. In addition to his status as a longtime favorite judge on Food Network’s Chopped, and as an Iron Chef, Zakarian is a co-host on Food Network’s Emmy-nominated daytime series, The Kitchen, which premiered in January 2014, as well as the host of Food Network’s newest primetime hit, Cooks Vs. Cons. Zakarian also hosts Sirius XM Radio’s Food Talk, which premiered at the 2013 South Beach Wine and Food Festival and is broadcasted from different locations throughout the year.